Thank you guys for the love on my last Foodie Friday, even though it was such a fail... I am happy you guys took it well:) And yes I will be sharing that potato and tuna recipe! For today's post I am sharing some Pinterest ideas that I love and have made before. 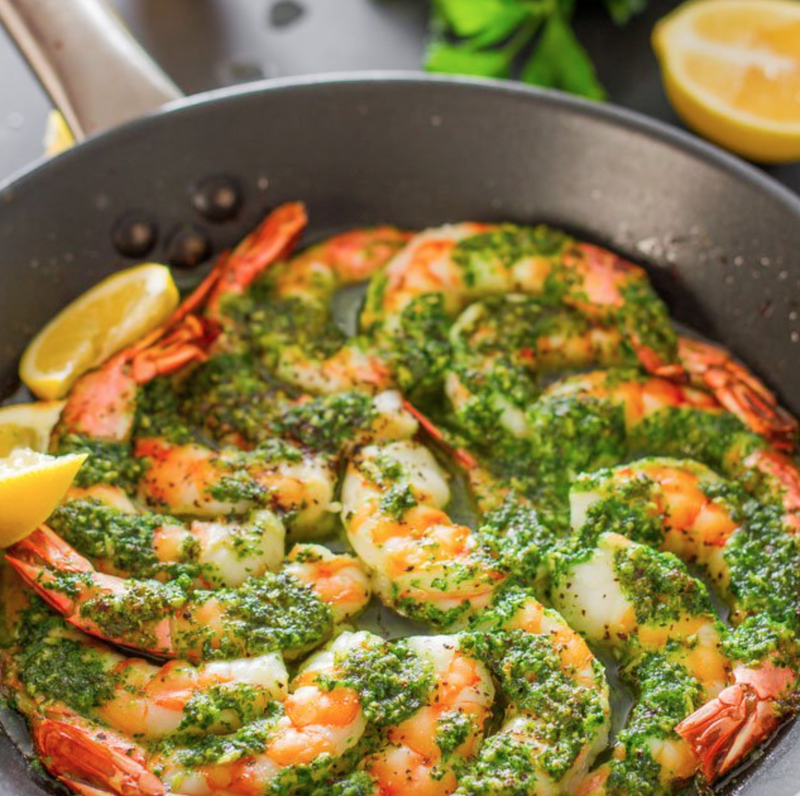 If you know me well, you know I adore shrimp. Adore. My ceviche is the bomb dot com. No lie...! Ask my husband. I love easy but delicious meals. I cook Monday through Friday, except Wednesdays when Ben has soccer practice. And Saturday and Sunday we order out. In the winter though I stock up on my crock-pot recipes and may or may not cook on Sundays. I can't say I adore cooking but my kids prefer my meals to any take out and it's healthier:) So I need all the ideas I can get so I rely on my family recipes but also on Pinterest for inspiration. Because cooking everyday you run out of ideas! I love to make new things but if I am being honest I do not like complicated meals.. anything that takes too long will never have my interest at all. So it's all about easy and delish for this busy mom! For today's recipe-share I am giving you guys an exquisite and easy idea for a nice dinner for the family. It's a Cilantro-Lime Coconut Rice with Garlic and Parsley Butter Shrimp! 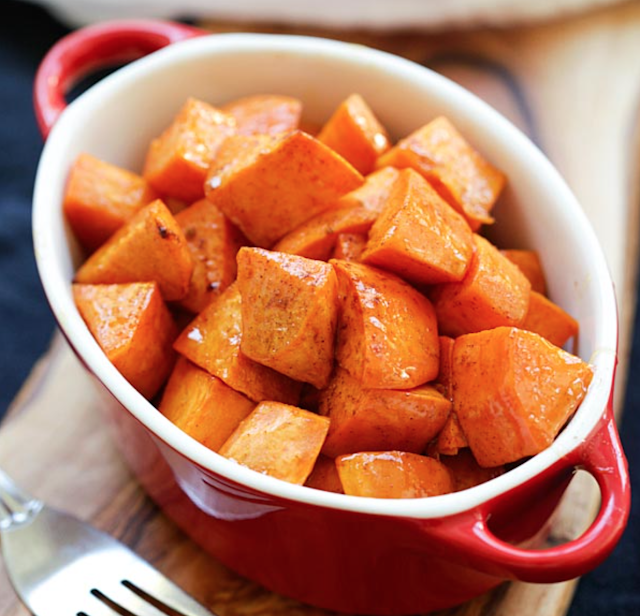 And as a sweet side option this Honey Cinnamon Sweet Potato recipe. In our house we love sweet potato or batata as we call it in Spanish. My mom makes the best cinnamon batata ever! I love the combination of seats with salty dishes, and this tangy combination is to die for. You can click on the links for all the details on this amazing and super easy under 30 minute meal. 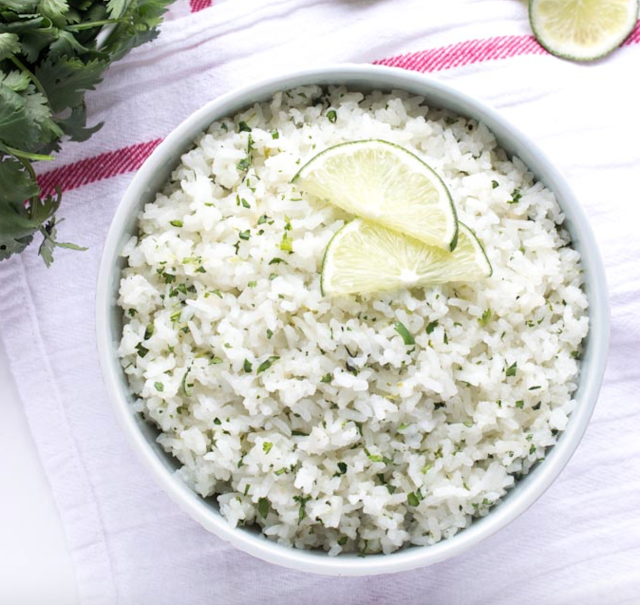 I've made this cilantro lime coconut rice before and it's to die for. You won't regret it! I can't wait to share my very own Shrimp ceviche recipe next week! Just to clarify these are not my recipes, these are 2 out of 3 recipes from my pins that I've made before:) You can get more ideas on my Pinterest board HERE. Happy cooking and ben provecho! You know I'm making those shrimp!!! WOW...so yummy!